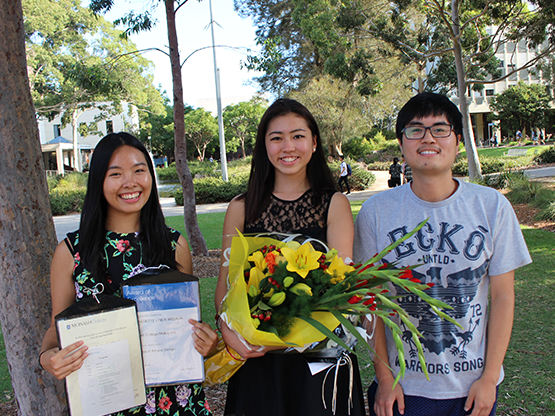 Five Monash College Melbourne students received Global Excellence Awards at the Diplomas Certificate Ceremony, on Wednesday 16 March. The most prestigious prize in Monash College Diplomas, the awards recognise the highest achieving students completing each Diploma through our programs globally. Award recipient, Marina Kobayashi, spoke on behalf of the student community. 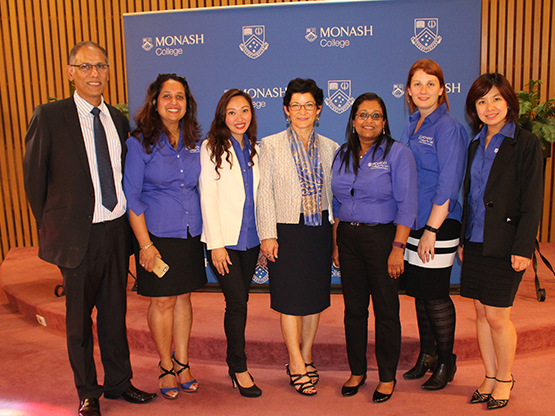 'Monash College has been the ideal pathway to Monash University,' she said. 'It provided so many opportunities for learning outside the classroom. 'It has also been a wonderful opportunity and responsibility to both teach my peers and to experience such diverse perspectives,' she said of our Business Law mentoring program, which enables students to lead classes as a development and learning opportunity. 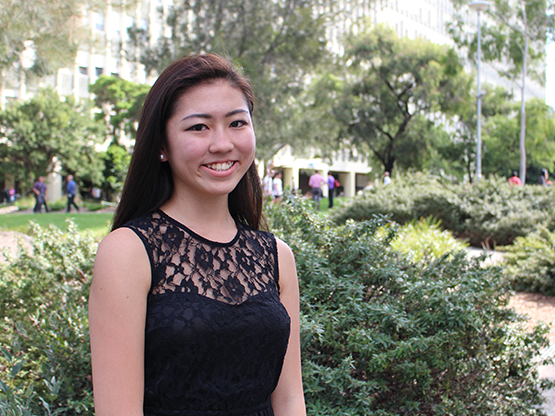 Marina also won a Monash University Scholarship, contributing $6,000 toward her studies. She has commenced the Bachelor of International Business​​ in semester one this year. Director, Monash College Diplomas, Dr Muyesser Durur​, celebrated each student's journey as 190 students received their Diplomas Certificate in front of family and friends.